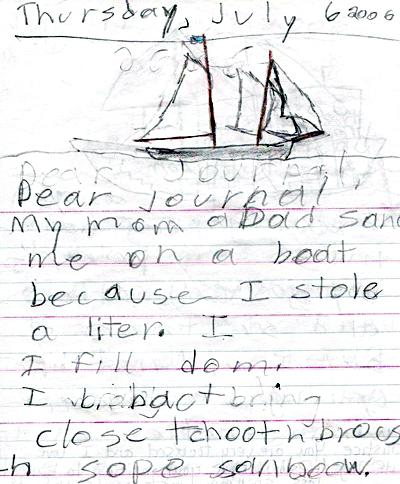 This is from a school journal I found lying on the street. What follows is sea sickness, famine, and one hellish night spent on a floating plank of wood in black freezing water. That’s enough to seize the darkest corners of insanity … because she stole a lighter. Stay tuned.